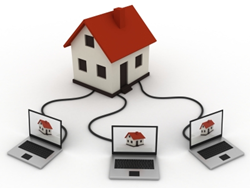 People Home Equity offers a few tips on listing a property online. If the property pictures are dark, dreary, or not well illuminated, browsing home buyers may get a negative impression of the condo or home. With spring in full swing, Peoples Home Equity knows that there are many homeowners eager to sell their home and move into a new location. However, not all properties are listed the same. A great description, proper staging, and light are all part of a great home listing. Peoples Home Equity offers the following tips to highlight these important components. Staging can make or break the aura that resonates in pictures of a property listing. If a home is staged badly, or looks too cluttered, it may be better to just empty out the rooms altogether and let the buyer imagine how to place his/her furniture around. Ask the listing agent if they have any suggestions for making rooms more presentable before taking pictures to post online. Light is a critical component of taking pictures for an online listing. If the property pictures are dark, dreary, or not well illuminated, browsing home buyers may get a negative impression of the condo or home. Wait for a bright, sunny day to take pictures of the home with all of the lights on and curtains/blinds open. Browsing buyers need to feel like the unit is lively with an ambiance of optimism. Always describe the home in a positive tone. Highlight all of the great features the property has to offer; the homeowner can best point out what they are. Perhaps the kitchen is fully upgraded with nice tile, granite countertops, and stainless steel appliances; perhaps the bathroom has a large Jacuzzi or two vanities. Homeowners definitely want to take pictures of things that make the home unique.